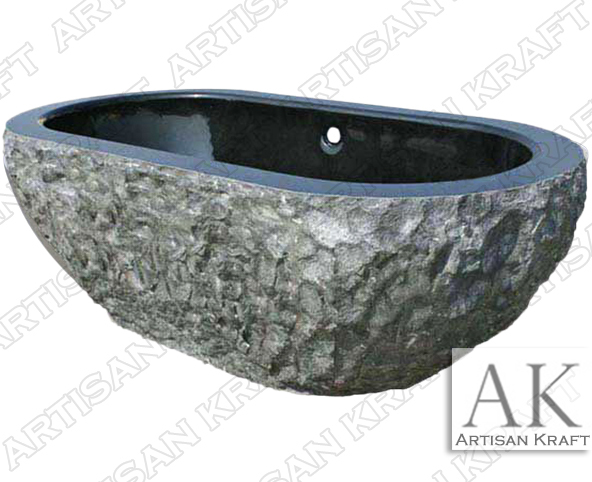 This double ended oval tub is carved from absolute black marble and has a chiseled exterior finish. This bathtub also has a smooth polished interior and the two contrasting textures give this tub its original look and design. Add a 30 degree soaking side to really unwind. Custom sizes available.